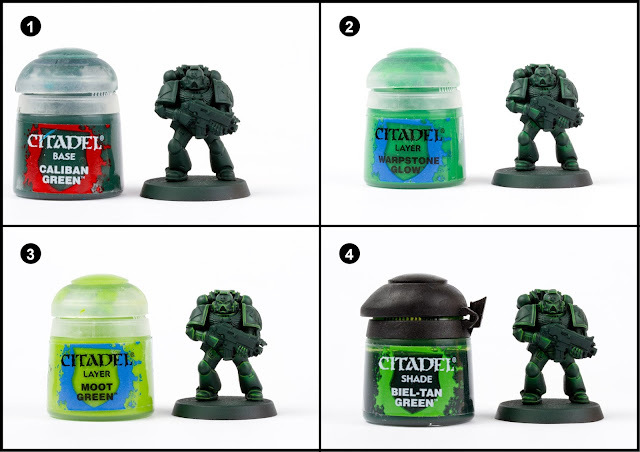 In today's post I share with your a complete photo tutorial guide to paint the Dark Angel Tactical Marine pictured above Just in time for the rumoured up and coming Dark Angel codex. What are you waiting for, more after the jump! 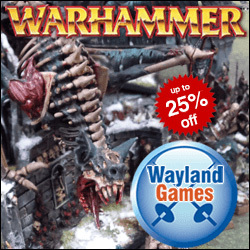 In case you need to expand your paint collection, head over to Wayland Games, which stock a huge selection of paints at competitive prices. 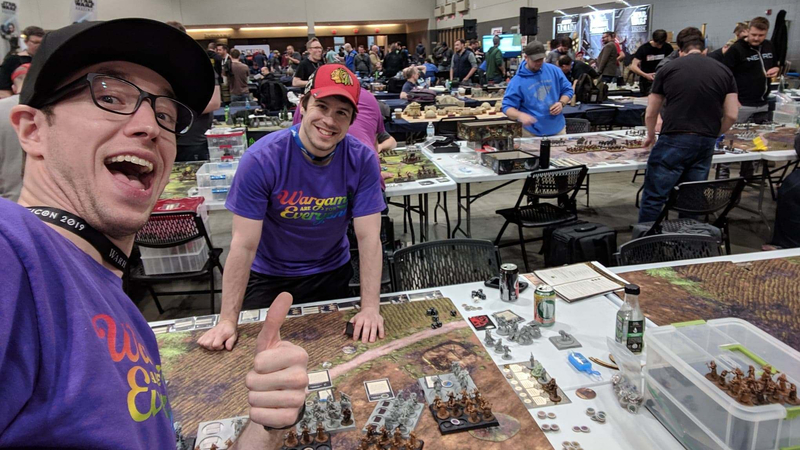 Or support your local gaming store. 0. Undercoat the model using a black undercoat. I use Vallejo surface primer with my airbrush. 1. Basecoat the model with Caliban Green. 2. Create a mix of Warpstone Glow and Lahmian Medium (50:50) and paint a thin layer (a glaze) over all the rounded areas of the armour that would catch natural light. Once dry, repeat to build the intensity. It's these thin layers that create such nice soft blends. 3. With a fine detail brush, paint the upper sharp edges of the armour with Moot Green to represent glints of light on the edges. 4. Wash the whole model with Biel-Tan Green to tie together the blending. 5. Paint the rubberised areas between the armour, the bolter and tactical symbol with Abbadon Black. 6. Pick out any metal areas with Leadbelcher. 7. 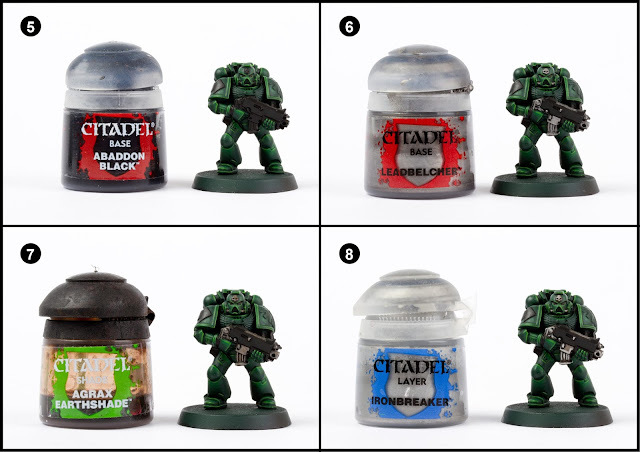 Wash the metallic areas with Agrax Earthshade. 8. Highlight the edges of the metals with Iron Breaker using a fine detail brush. 9. 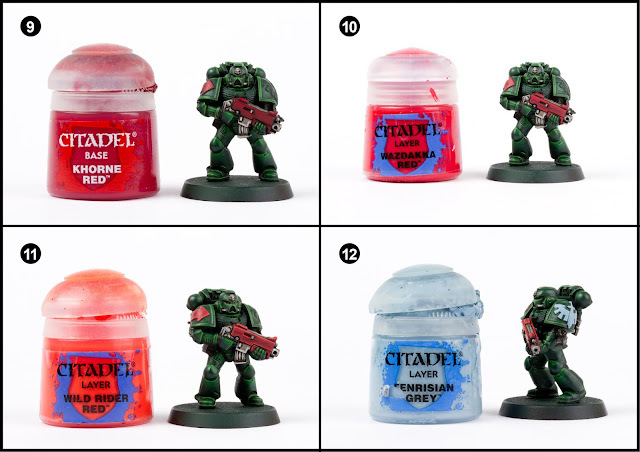 Paint the bolter casing and any other areas such as the tactical arrow with Khorne Red. Look carefully at the pictures above to see where the red goes on the gems (you should leave the top left area of the gem black. 10. Highlight the previous areas with Evil Sunz Scarlett. 11. Edge highlight the red areas with Wild Rider Red and a fine detail brush. 12. Basecoat the Chapter symbol with Fenrisian Grey. 13. 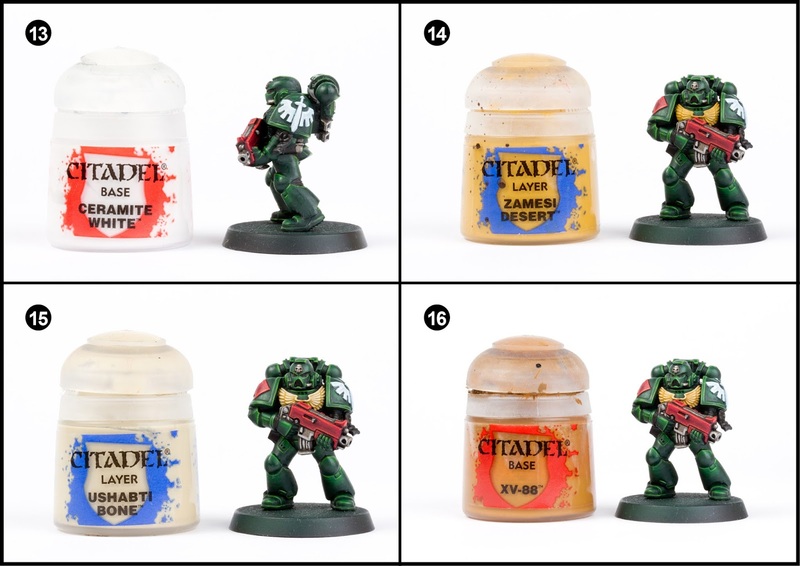 Paint the Chapter symbol with Ceramite White. This might take a couple of coats to get a solid coat. Water your paint a touch to make it flow from the brush easier. It makes for a more accurate method. 14. Paint the chest Aquilla with Zamesi Desert. 15. Highlight the chest Aquilla with Ushabti Bone. Make sure you leave some Zamesi Desert showing through for shading. 16. Water down some XV-88 and use it to shade the chest Aquilla. Just paint thin lines. 17. Paint any scrolls or parchments with Baneblade Brown. 18. 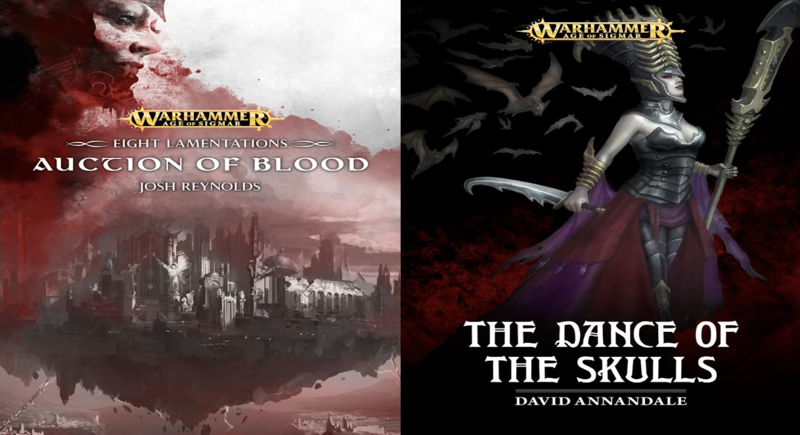 Highlight the scrolls/parchments with Rakarth Flesh. 19. Run a wash of Agrax Earthshade over the scrolls and parchment areas. 20. Paint thin edge highlight lines of Dawnstone onto the rubberised areas under the armour pieces (elbows, back of knees, groin etc). 21. Paint any wax seals with Screamer Pink. Leave some black showing through as shading. 22. With very thin highlights use Emperor's Children to highlight the wax seals. 23. The eyes actually require three steps. Firstly paint Teclis Blue into the lens leaving a black area showing in the upper most corner furthest from the nose. Then paint a line of Temple Guard Blue along the bottom of the lens. Finally, paint a thinner white line below the line of Temple Guard Blue and paint a white dot in the middle of the black area you left. 24. Paint the squad marking on the knee with Ushabti Bone. 25. 26. Finally, base the model in a way which fits in with your collection. I used Armageddon Dust texture paint highlighted with Screaming Skull and the base edge was painted with Steel Legion Drab. That all the tutorials I have planned for the moment. I hope to return with more soon. Hope you enjoyed this one. "In today's post I share with your a complete photo tutorial guide to paint the Blood Angel's Death Company Marine pictured above." Once again very nice tutorial. 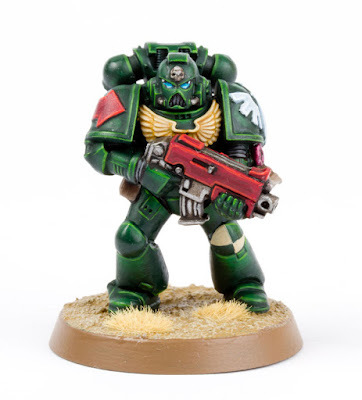 If i collected Dark Angels i'd never look back after seeing this. The only thing that i would like to see is a Space Wolves tutorial, please paint a Space Wolf. It's one of the major chapters and there's no tutorial for them. Would really love a Space wolf tutorial from the best tutorial makers on the web imo. One day dude. I have the Stormclaw box set and I do want to add them to my army of the imperium. Need to finish Dark Vengeance and DeathClaw first (and Execution Force). I love you Mr Garfy sir! Also what do you think is better? Spray Primer or Imperial Primer? Vallejo surface primer through an airbrush is cheapest, most reliable and smoothest. 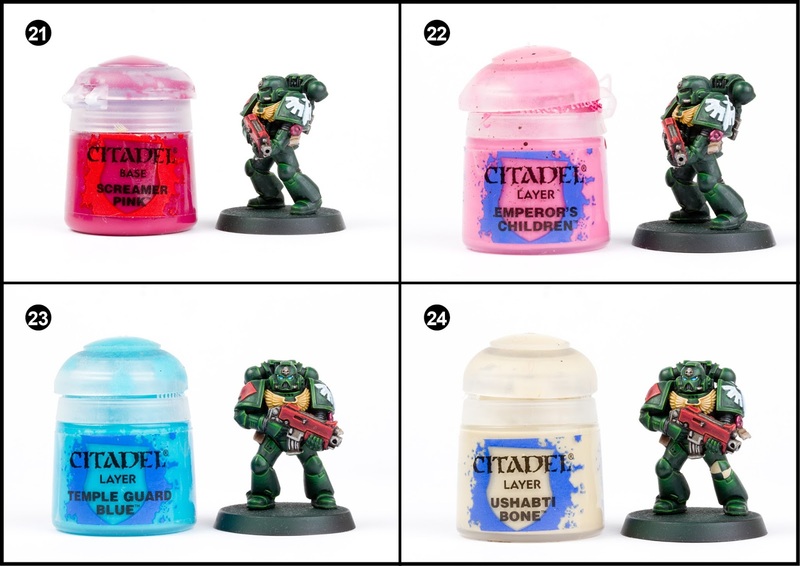 When you're mixing medium with paint do you add a bit of water or keep the brush wet or anything? Just wanted to say thanks for taking the time to do this tutorial. Trying to get back into painting mini's after a near 20 year "break"
Thanks Hayward. Have fun with the stalking. You'll see I have more of a presence on Facebook, Youtube and Instagram so feel free to hit me up over on those. Cool, I'll increase my stalking range to take those platforms in. Do you mind if I ask, how are you mixing your paint up? 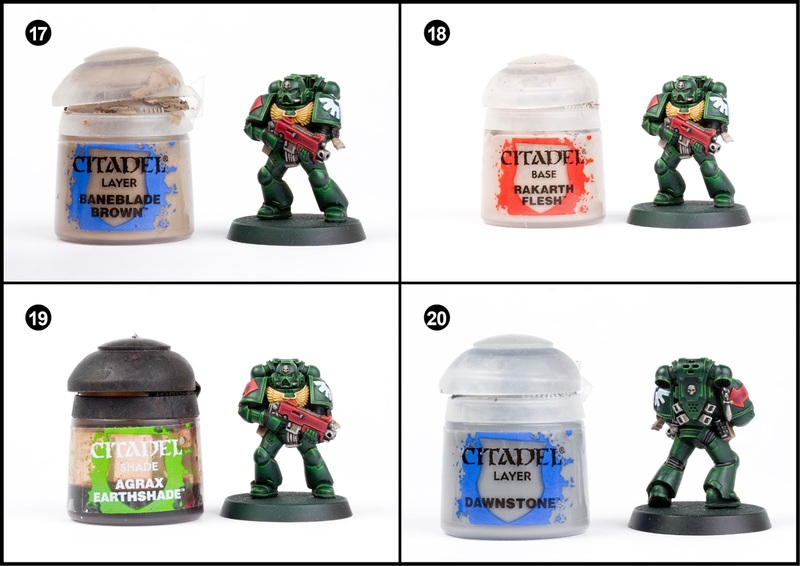 For step 2, when I do a 50:50 mix and try to paint it on, it seems a lot brighter and more obvious that it does in your picture. With me it looks like less of a blend and more like another coat of paint. I'm 101% sure that I'm doing something wrong. Do you have any tips for applying that stage? 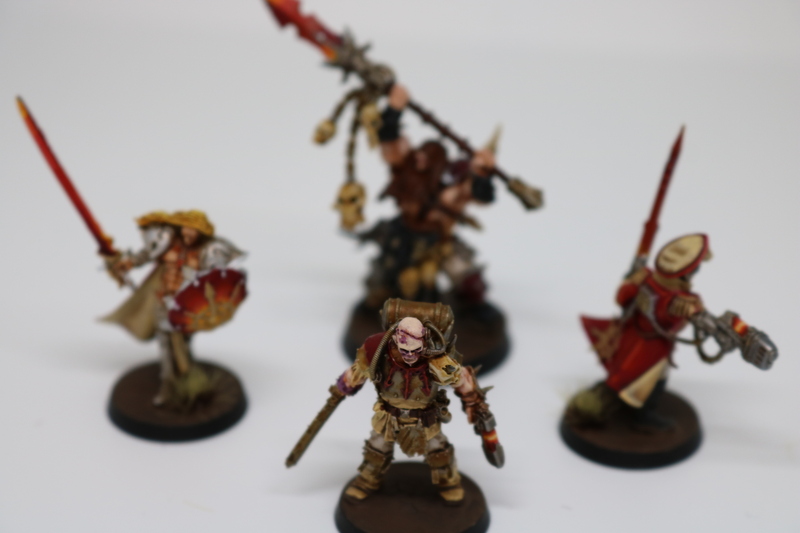 Hello, I have been trying to paint minis for a few years now. I am no longer able, due to medical reasons. As much as I would love to, I can't paint nearly as well as you! Can you please email me at ryggrad82@gmail.com? I have an important question for you.